In creating giant detachable fuel cylinders to blast Apollo 8 into outer space, NASA engineers manufactured the most powerful machine ever made. On the 21st December 1968, the Apollo 8 space shuttle blasted off from Earth. It was the first manned spaceflight to attempt to leave Earth's orbit, bound for the Moon. To get there, the shuttle was powered by the Saturn V rocket – the most powerful machine ever made. 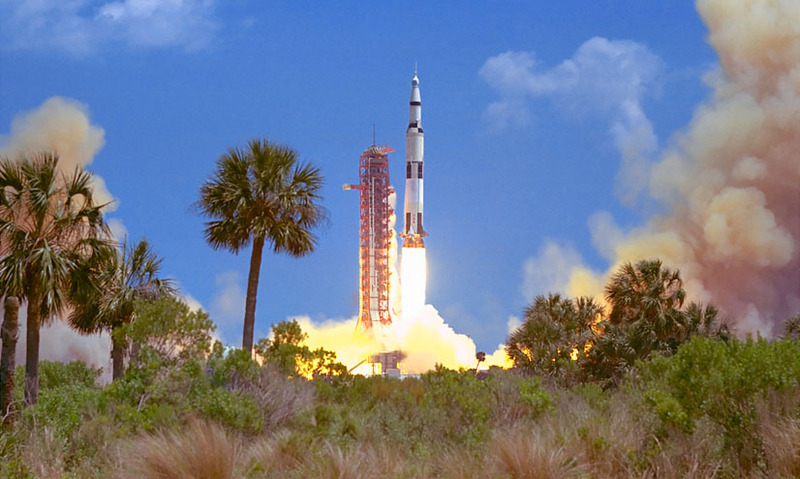 To get out of the Earth's atmosphere, Saturn V had to carry more fuel than any rocket before. It burned over 4500 litres of fuel a second, and lifted just over 3 million kg. The same weight as a Navy destroyer. Jay Barbree NBC Correspondent – "No-one was ready for Saturn V. We were three miles away – believe me, that's close enough. You don't want to go any closer, because all of a sudden we get this rattling like an earthquake or something, and I had to run outside because our equipment are falling off of shelves...the clapping and the thunder and everything of it, you just can't see it on TV, you have to be there to know what I'm talking about." 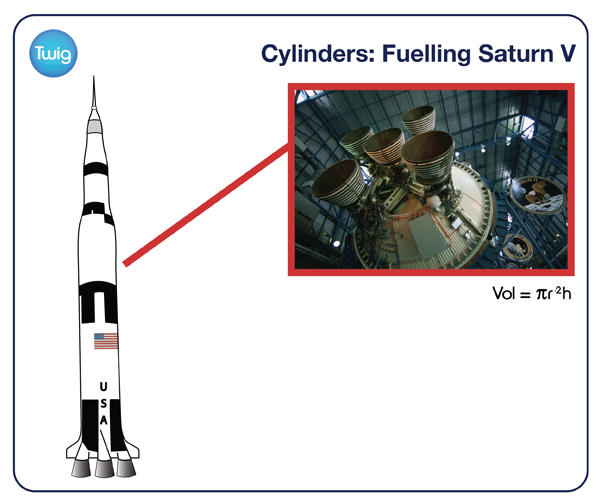 Powering the launch stages were Saturn V's two massive fuel cylinders. The first cylinder, containing five engines, was 42m high, giving a volume of around 3300m3. The cylinder blasted the shuttle to seven times the speed of sound. The rocket fuel, and liquid oxygen contained within, was enough to propel the shuttle 61km through Earth's lower atmosphere. Once the fuel was spent, the giant cylinder dropped off. With a lighter load to carry, the second cylinder was smaller at 25m high but 10m in diameter, yet it still had a volume of around 2000m3. As the shuttle reached outer space, the second cylinder detached. Bill Anders Astronaut, Apollo 8 – "You go, bang, bang. I felt like I was being hurled through the instrument panel by one of these big war catapults." And as the second cylinder plunged back to Earth, the astronauts used their booster engines to blast out of Earth's orbit and onwards to the Moon.